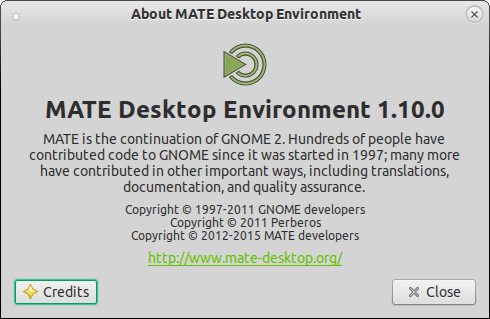 Every component of MATE can now be built with GTK2 and GTK3. Arch Linux and Fedora currently offer alternative GTK3 builds. [GSoC 2014] Caja now has an extension manager so plugin can be enabled/disabled at run-time. [GSoC 2014] Atril now supports ePub. [GSoC 2014] libmatemixer, an audio mixer library for MATE desktop, has been introduced. Theme support has been expanded to GTK 3.8 to 3.16 including CSD and pop-over support. Migrated MateRRScreen, GnomeRRConfig and GnomeOutputInfo to GObject. libmatemixer is a new mixer library for MATE desktop. It provides an abstract API allowing access to mixer functionality available in the PulseAudio, ALSA and OSS sound systems. Migrated to MateRR* API changes. Fixed the size of the showdesktop icon. Check allocated size before creating the shadow pixbuf in the clock. Added support for GTK 3.16, 3.14, 3.12, 3.10 and 3.8. Added support for bsdtar to the comics backend. Added support pdf.xz files to the PDF backend.